If you want to be a happy lawyer, consider focusing on other's needs. Really. According to a survey of 6,000 attorneys, lawyers in public interest work reported the highest levels of happiness. If you went to law school because you wanted to help people and now want to back up that claim with action, consider starting your own nonprofit firm. Here are some resources to help you out. 1. Consider incubators. Several law schools and bar associations offer incubator programs to help lawyers start public interest and small firms. Here's a quick overview. 2. Get all the basics covered by going through FindLaw's Startup Checklist. 3. Check out those who are doing it. Check out nonprofit firms like Open Legal Services, this discussion of nonprofit lawyering in Above the Law, or MyShingle's article on starting a nonprofit firm. 4. If you need help putting together a strategy, Bplans has a wide range of sample business plans you can check out for some inspiration, including a sample nonprofit law firm business plan. Bplan's sister site, Mplans does the same, but for marketing, again with a sample marketing plan for nonprofit firms. 5. 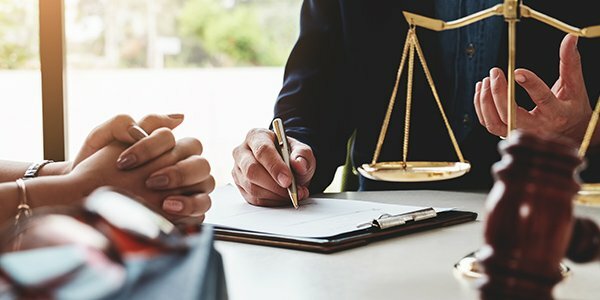 Legal Services Corporation provides six grant programs to attorneys and organizations working to bring needed legal services underserved groups. There's grants focused on technology, leadership development, disaster relief, and more. 6. Grantspace provides tools to help you get grants. There are classes on nonprofit branding and networking, sample documents, and a "collaboration hub" with documentation on sharing staff, combining marketing efforts and co-locating with other nonprofits. 7. The National Council of Nonprofits has a great, simple guide that walks you through the nonprofit founding process, from early research to state incorporation forms and federal taxes. 8. Speaking of taxes, the Internal Revenue Service has a whole section on public interest law firms. 9. While we're on the topic of money, if you've started your own nonprofit, you may be able to discharge your federal student loans through the government's public service loan forgiveness program. 10. Once you've got everything set up, it's time to bring a team on board. Check out Indeed for some great potential hires.